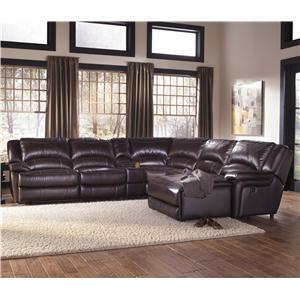 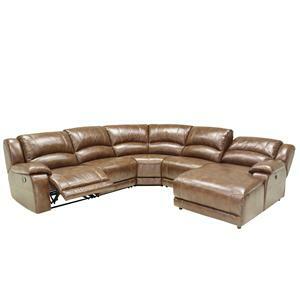 This reclining sofa in a light leather adds comfort and easy casual contemporary style to your home's entertaining space. 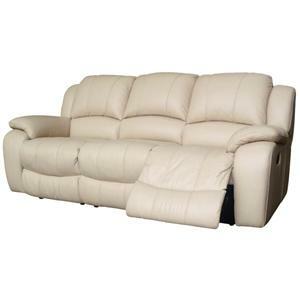 Relax in the comfort with the plush cushioning, pillow arms, and cozy footrests that allow you to put up your feet as you spend time with your family and friends as you watch TV, play video games, or simply spend time together. 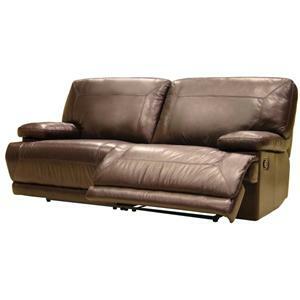 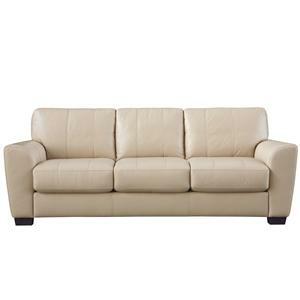 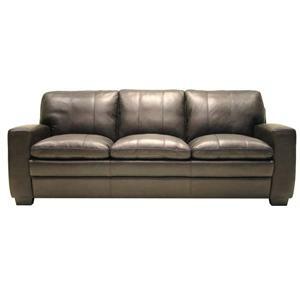 Turn your living room into a chic, modern lounge space with this stunning contemporary chaise sofa. 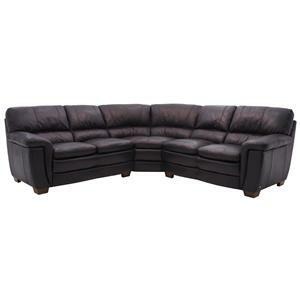 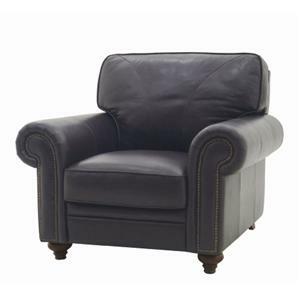 A sleek, low profile is accented by interspersed, tall backrests and blocky, geometric track arms. 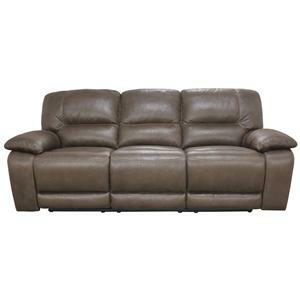 Adding a stylish contrast to the supple bonded leather upholstery is an exposed wood seat base and wood block feet in a rich, dark wood finish.